In Valdezarza we do the whole elaboration process, starting with the constant attention of our plants to the packaging and distribution. One of the peculiarities of our company is the ownership of an Oil Mill (Almazara) inside the plantation. This allows us to collect the fruits in their ideal point of ripeness, and to be ground immediately. The consequence is the development of our products with the best possible quality. The fundamental thing for the elaboration of our high quality olive oil is the harvest of the fruit. Not only it must be in good condition, but it has to be retired in the ideal moment when the fruit is in fullness of qualities. In most of the Oil Mills, the olive is employed with the fruit at black, when the olive is capable of producing more juice. The earliest producers begin their campaign of collection in November. Nevertheless in Valdezarza we go far beyond, advancing the crop to September. With this we get a more green and fresh fruit. This will be reflected later in the aromatic and tasting properties of our oil. We give priority to the quality opposite to the quantity of obtained oil. The collection takes place carefully adapting to the variety of the olive tree, prevailing the good condition of the fruit. The care of this tree as robust as demanding of attentions is one of the key points to obtain a good fruit. This conscientiousness that has been kept all over the year has to be maintained in the picking if we want to guarantee the quality of our oil. Another of the key points for the quality of our olive oil is its immediate grinding. In Valdezarza, the Oil Mill is inside our plantation. We have a constant elaboration process to avoid periods of storage and transport that would affect negatively in the quality of the oil. 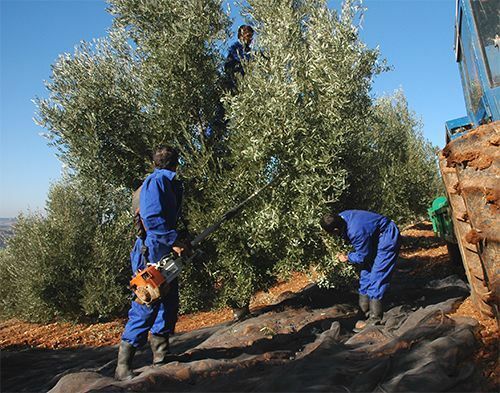 That is why, immediately after the collection we grind the olive, totally fresh and preserving all its properties. Only the cold milling is capable of preserving the qualities of the olive in all its intensity. After the phase of mill we initiate whipping one. Slowly and with low temperature, we beat the mass of olive to separate the oil of other components of the fruit. The temperature is vital at this moment, to major temperature more quantity of oil, but worse quality. Because of it the slow pace and the low temperature are a fundamental component in the quality of our oils. 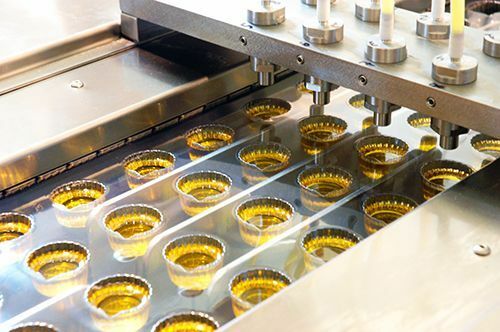 In the whole process of production only mechanical procedures are used, there is no type of chemical additive that could facilitate the extraction.